Arc de Triomphe portrait view tourist bus passing by. Begun in 1806 by Napoleon in honor of his victorious armies and completed in 1836. 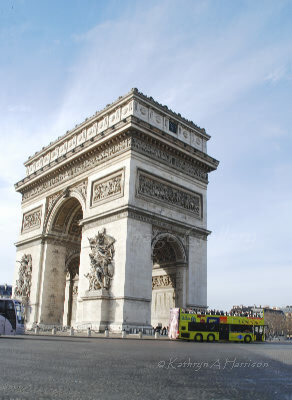 The unknown soldier of France and the eternal flame were placed beneath the arch after World War I.